If you are looking for a used Chevrolet Silverado 1500 in Guelph, Cambridge and surrounding area, the Milburn Auto Sales sales team will be able to satisfy your needs. Milburn Auto Sales always has a great selection of pre-owned Chevrolet Silverado 1500 in stock and add to the vehicle inventory daily. 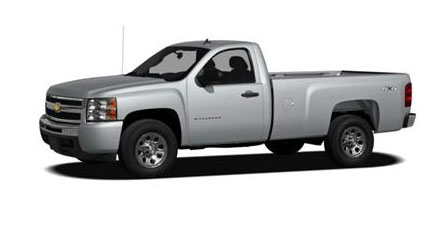 At Milburn Auto Sales we proudly sell and service used Chevrolet Silverado 1500 to customers from Guelph, Cambridge, Kitchener, Milton, Waterloo, Hamilton, Brantford, Elora, Fergus and the Southern Ontario Region. The Chevy Silverado offers more choices in light-duty pickup variations than any other, except perhaps GMC and the Ford F-150. It is among the smoothest riding and quietest of all full-size pickups, and can be counted on to get the job done. G.R. Whale contributed to this report from Southern California; with NewCarTestDrive.com correspondent Larry Edsall reporting from Phoenix. Source: Chrome Data. On the road, the Silverado was exceptionally pleasant to drive. The ride was very smooth for a truck and bumps and pavement imperfections were soaked up nicely. -- Motor Trend. Source: Chrome Data.